Minnesota Veterinary Ultrasound is dedicated to assisting veterinarians in improving the lives of companion animals and their human families. 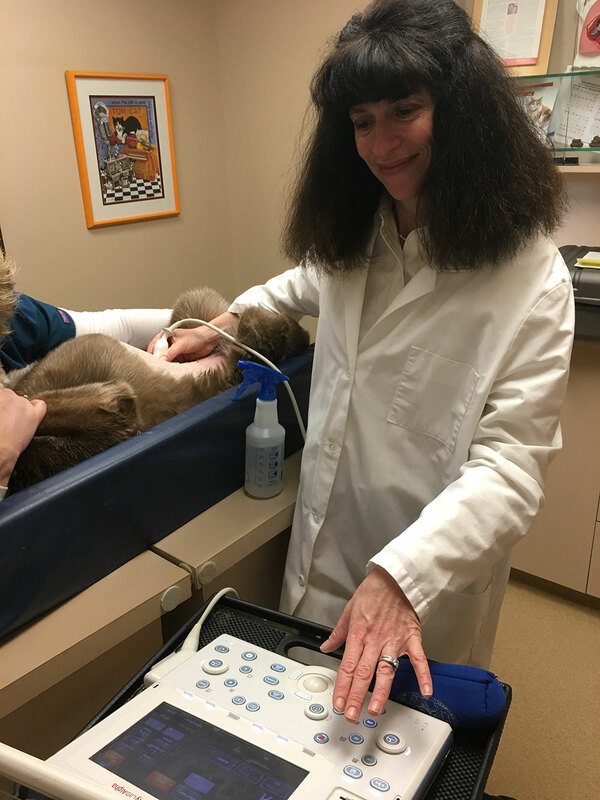 Through state-of-the-art technology and outstanding customer service, Minnesota Veterinary Ultrasound is committed to taking the extra steps necessary to help solve challenging cases and strengthen the bonds between veterinarians, clients and their pets. Most scans performed within 24-48 hours. Completed in the comfort and convenience of your own hospital. Ultrasound report emailed to your clinic within 24 hours. Boarded specialist consultations available upon request. Questions about MN Veterinary Ultrasound? Please contact Dr. Weisman by phone at 651-707-5708 or by email at dr.mweisman@mnvetus.com. Pet owners who want to schedule an ultrasound appointment for their pet should have their primary veterinarian contact Dr. Weisman directly.